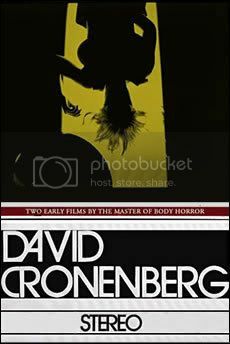 You might remember David Cronenberg from such films as The Fly, Dead Ringers, Videodrome, A History of Violence, and Eastern Promises. If you’ve seen any of his films you have probably gotten a glimpse into his singular vision. His films run rife with themes exploring human sexuality, the violence inherent in humanity, and several odd combinations of the two. If my brief and incapable description of Cronenberg’s work interests you, then you might also appreciate Stereo. If the above themes make you want to run or leave you cold, then Stereo might not be the best use of your time. Stereo is Cronenberg’s first non-short film. Depending on your definition of a feature length film, it might be considered a feature. It runs slightly over an hour, but feels neither like a feature film nor a short. It is a strange film, to be sure. As it does not contain many conventions of mainstream filmmaking, I suppose one might call it, in part, an experimental film. It is shot in a very cold, almost medical style. It is the story of a group of eight young people with extrasensory perception. They are studied by Dr. Stringfellow, and it would be safe to say he has some strange hypotheses to test. The young participants never speak; in fact, no one in the film speaks. Neither is their any ambient sound. There are occasional voice overs spoken by a variety of the participants. These serve to explain what little plot there is, oftentimes in highly technical terms. They also break the silence from time to time, which is a welcome relief. The study is focused on human eroticism and mentions concepts that are at once psychological and philosophical. One of the study’s aims is to determine if there can be thought without a form of language. These concepts then carry over to the study of eroticism: is it the shape of a human body, the movement of the same, or a combination of the two that is arousing? The various participants partake in aphrodisiacs at one point, and the effects of the drug are observed. However, all does not go as planned and the experiment starts to disintegrate slightly. “Well,” you might say, “that sounds extremely artsy-fartsy.” And, I suppose, you might be correct. This is not a conventional picture in any way. You would never have seen it play at your local theater. But that does not mean that it’s a bad movie. Quite the contrary, I enjoyed the way it was put together. Cronenberg’s eye for the camera frame is immediately evident. Almost every shot has been thoroughly pondered, and some shots are simply breathtaking. 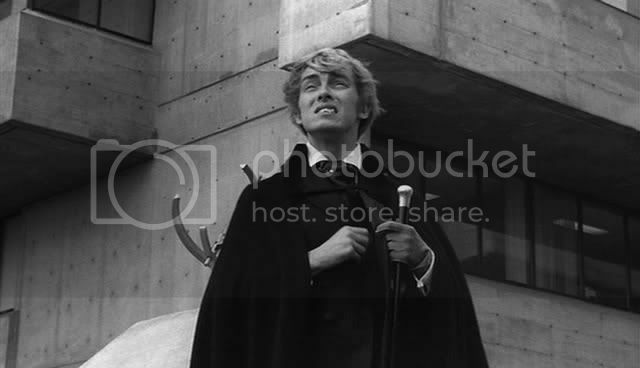 It looks like it was filmed on 35 mm, and the black and white picture is crystal clear. This isn’t a movie for everyone. It gets a bit dull and drags slightly. Fans of Cronenberg might be interested to see where the Master of Venereal Horror got his start. Philosophy students might be interested in some of the themes that unfold, though I’m not sure it delves deep enough for some philosophers to be satisfied. I enjoyed it, overall. It is a different style of filmmaking, is very well shot, and looks great. If you’re not a fan of Cronenberg, however, I would advise you to stay away. This entry was posted in 1.5 pirate flags, 2.5 stars, Movie Reviews, S on December 2, 2009 by Tim Irwin.